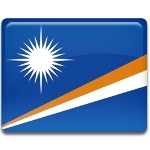 The Republic of the Marshall Islands is an island country located in Micronesia. Prior to the arrival of the Europeans, the islanders used to be skilled boat builders and navigators. When Western Christian missionaries arrived in the late 19th century, they had a considerable influence on the culture of the islanders. Contemporary Marshallese culture is a combination of manit (traditional cultural values and customs) and Western influence. Manit Day was established to honor the country's rich and diverse cultural heritage. It falls during the annual week-long festival, Lutok Kobban Alele, dedicated to the promotion and preservation of Marshallese culture. Manit Day is celebrated with singing and dancing performances, colorful parades, sports games, traditional canoe races, craft fairs, food booths, basket weaving and coconut husking competitions, and other festive events and activities. The main celebration is held at the Alele Museum, Library and National Archives located in the capital city of Majuro.